I love family traditions! One of our family traditions we have been doing for the last 7 years is attending the yearly performance of Disney On Ice at Budweiser Garden in London. We also picked up my mom to attend the show with us this year as it has been many years since she has seen Disney On Ice performance. My mom loved the performance and how they stories came to life on the ice. 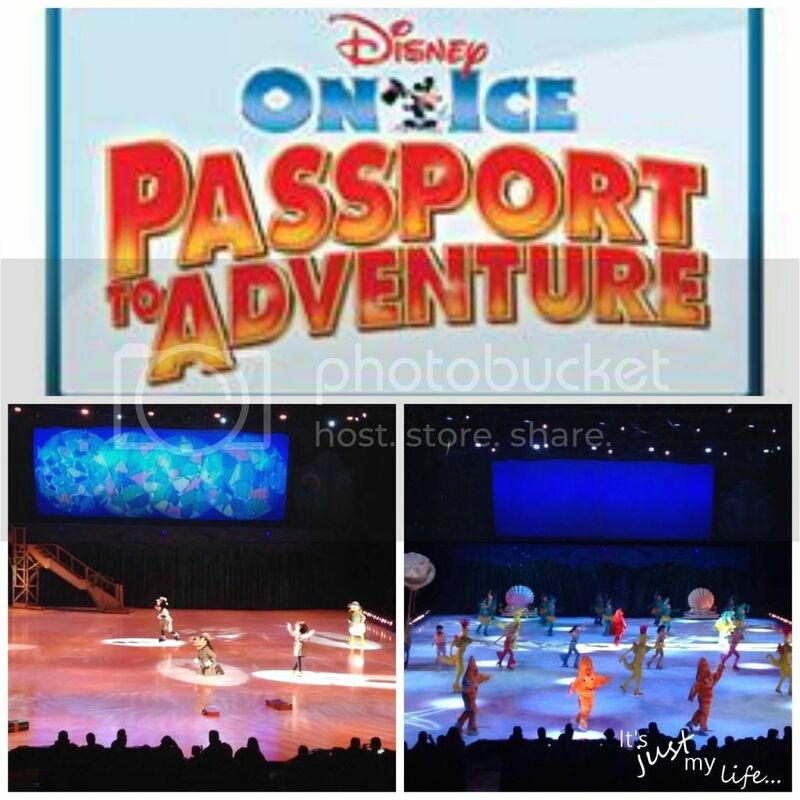 Mickey and Minnie took to the ice with passports in hand as we toured Africa with everyone's favourite Simba. Then it was into the waters with my daughters favourite Ariel and The Little Mermaid. I loved the colours of the fish, sharks and jelly fish as they danced around the ice. The tour then took us to Lilo and Stitch a story that I have seen before but it carries one of my favourite messages and that is that all families are not the same. Once we had a brief intermission we then were taken to London, England with Peter Pan and Tinkerbell. My daughter was just captivated with the flying across the ice. Even after watching Disney on Ice for the last 7 years - it amazes me year after year how impressed I am with the show. It truly was an event for the whole family no matter the age!